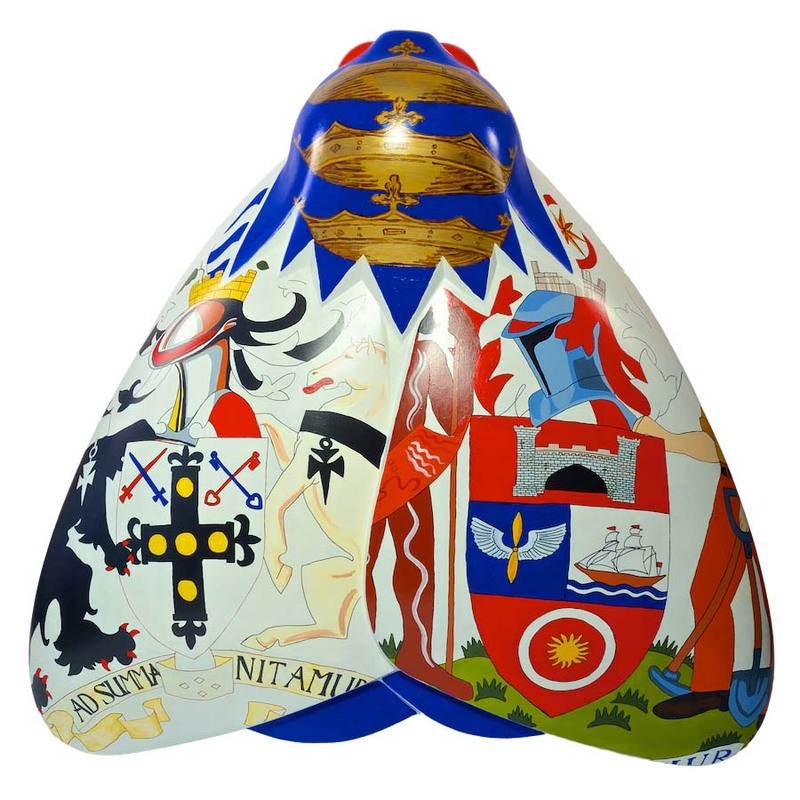 The artist behind this moth’s design initially chose to focus on a celebration of Amy Johnson’s famous solo flight in 1930 between England and Australia. His first inclination was to include three aerial maps of Hull, Croydon and Darwin, but felt that this was not visually stimulating enough for public artwork and decided instead to produce a montage of sections of the coats of arms in three places. About the Designer: Roger has taught art in Hull schools for the majority of the forty-plus years in which he has lived in the city. He is now retired and able to dedicate time to his own work. Roger is an associate member of Kingston Art Group and has regularly exhibited around the city in venues including the Ferens Art Gallery, Hull in Paint, Pave, Hull Central Library, PoP and Kingston Art Group Galleries. Hull City Council is the governing body for the city of Hull. Comprising 59 councillors from 23 wards, the council serves Hull’s residents and provides local public services, including housing, education and leisure. The council works hard to ensure Hull thrives economically, and sees its residents live in a safe and sustainable city.